TOKYO (AFP) - US President Donald Trump sparked a feeding frenzy on social media on Monday (Nov 6) when he was photographed dumping a box of fish food into a pond of koi carp at the Akasaka palace. 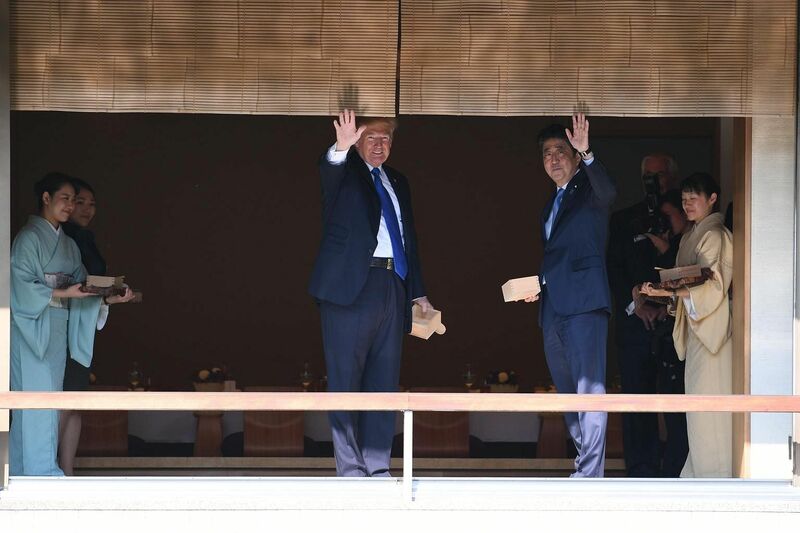 Mr Trump and his Japanese host Shinzo Abe began by delicately spooning out the food into the pond to the waiting koi, which had been rounded up by a clapping Japanese aide. The US leader was then seen upending his entire wooden box into the pond, causing outrage among fish lovers on Twitter. Many pointed out that fish cannot absorb a large amount of food at a time. However, major news outlets like The Guardian reported that Mr Trump was merely following his host's lead. Footage also confirmed that Mr Abe had emptied his box of fish food first. US Secretary of State Rex Tillerson, standing just behind Mr Trump, appeared to break out in laughter at his boss's no-nonsense approach to koi feeding. According to The Guardian, the Akasaka palace’s large collection of koi carp have been viewed by a succession of world leaders, including Margaret Thatcher. It is not known whether the former British prime minister was as aggressive as Mr Trump when it came to feeding the pond’s inhabitants. Correction note: The headline and story have been edited to reflect that fact that it was Mr Abe who emptied his box of fish food into the pond first.